AUCD, the Association of University Centers on Disabilities, requested us to once again help them with the design of their annual report. For 2013, they continued to explore presenting the information as an infographic, much like they did in 2012. 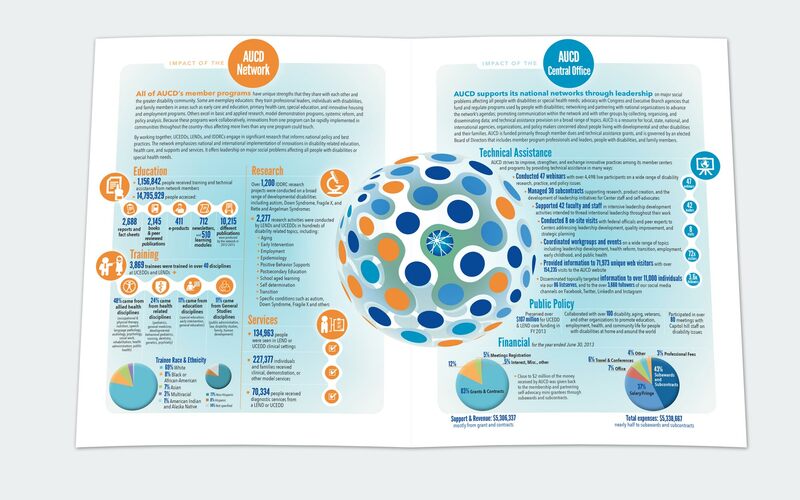 For 2013, they decided to make it primarily for print instead of for online presentation so the information in the design was set up to highlight the two sectors of AUCD: the network and the central office. We designed it so the information was presented in a unifying way but was separated by each individual page.